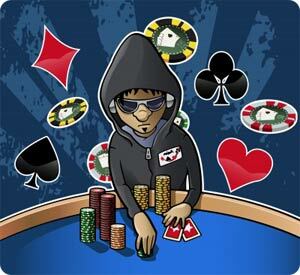 Multi-table Poker Tournaments have become the game of choice for more and more poker players. With our guide to How to Win a Poker Tournament that could well be true! We have brought in a successful online poker tournament player and asked him to reveal the secrets of his success. We’ve asked him to lay out a blueprint for how any player can approach poker tournaments and significantly increase their chances of being successful. The result I think you will agree is quite staggering, take your time and work through the sections of this guide because it will show you a structured approach to a playing in a tournament which is like gold and we’re sure that you will soon see the benefits in your tournament results. No Limit Holdem Poker Tournaments are exciting. You throw yourself into battle with anyone else who is willing to face you and only one person emerges victorious and with the poker tournament strategy that I am going to reveal to you throughout this guide then that person could be you! Well, it is possible but it takes a lot of things to go right for you to win a large multi table tournament. Some you have control over and some you don’t. There is an old saying that I heard several times when I first started playing years ago that I thought perfectly describes playing poker. “It’s a tough way to make an easy living.” Never were truer words spoken ! Poker players suffer the lowest of lows and revel in the highest of highs. I’ve been playing online poker tournaments successfully since 2004 and over the years have tested many different strategies for playing in Poker Tournaments but for the past few years I have found one to be the most profitable and it is that strategy that I use as my underlying strategy every time I enter a tournament and the one I am going to teach you in this guide. The first thing I want to make very clear is we are in it to win it, we are not looking to just scrape into the money and recover our buy in, the strategy I am going to be teaching you will be focused on putting yourself in a position where you can go all the way and win the tournament, top 3 at worst. In most Poker Tournaments the top 3 take home the majority of the prize fund. I have split the guide up into 5 sections to make it easy to follow. There is a lot of information contained in this guide so by breaking it up into sections it allows you to take a structured approach and take your time going through it. The first section is all about the basics of Poker Tournament Strategy, what you need to know about Poker Tournaments and the basic principles that you need to apply to have a good tournament strategy. The following sections will then look at each stage of the tournament and the strategy you should apply to each stage along with introducing some more principles of good strategy along the way. So without any further delay, lets get started. Select the first section from the list below and lets turn you into a winning poker tournament player!